Recently Byrdie.com released a blog on Makeup Etiquette Rules in regards to what to do when you are going to get your makeup done. So I decided to take this and convert it into your wedding makeup consult. 1) “Don’t Get Waxed the Day of” – I completely agree! Most people get pink in areas that are waxed and it would take a whole lot of makeup to cover that up and then you would have more makeup in some areas of your face than others that you would end up looking uneven. Even if you don’t get pink, you will have the wax sheen on your skin, so do everyone a favor, get waxed days ahead of time! 2) “Don’t Get Spray Tanned Any Time Before” – Somewhat agree… here’s the deal, spray tan everything but your face. Moisturizers and cleaners can sometimes make the spray tan turn yellow so leave your face free of spray tan so that makeup can look flawless. This is also critical when airbrushing. Don’t worry, you won’t look like a geisha, we will just match your face to your body however shade you’d like and you can look tan. 3) “Don’t Bring a Strongly Opinionated Friend” – Yeah, I agree… It’s YOUR wedding and you need to put faith and trust in your wedding makeup artist to take good care of you. It’s NOT your strongly opinionated friend’s wedding. Sure they want you to wear a ton more makeup and that’s ok, but this is your wedding day, are you sure you don’t want to be recognized on your wedding day? 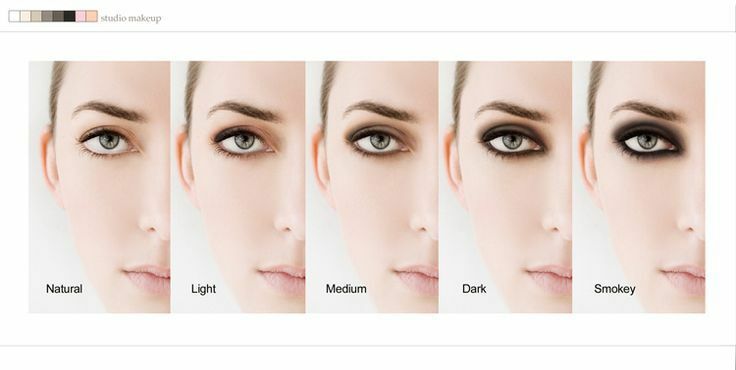 5) “Don’t Assume a Smoky Eye Means the Same thing to Everyone” Uh huh, yup… in fact, there are too many words really so I’ll save that for it’s very own blog, In the meantime, just tell me, what level of smoky do you want? 6) “Don’t be afraid to show up with a picture” – AGREE!!! I think at one point all of us wanted to be some kind of super hero with amazing powers! But unfortunately, my super powers are limited and I’m sorry to say, I never learned how to read minds. 🙂 So please don’t “assume” I know what you are talking about, because what’s in your head and what you are describing aren’t exactly the same thing so please, show me a photo of what you are trying to describe. If you don’t have one handy, not to worry, we can try and draw it out before we do your makeup. 7) “Don’t be Afraid to Listen to Suggestions” – Agree… please trust me, I’ve been doing this a while and I may see something that would look fabulous on you that you and your wildest dreams never thought of! 9) “Don’t Shy Away from Lashes” – Agree!!!!!!!!!!!!! Like the Smokey eye topic, this will get its very own blog, but in 2 words on how I feel about this…. DO IT!!! 10) “Don’t Overdue on Shimmer” – Agree. I mean come on, do you really want to look like a glowworm? I’m a huge fan of shimmer on the eye lids and a little upper cheek bone and nose highlight, but all over the face, I think not. 11) “Don’t be rigid” – uh huh, yup, for sure! Take a deep breath and relax, nothing can’t be washed off. If you are too rigid, nothing will go right in your makeup consult. 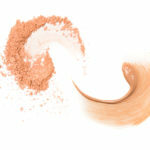 The whole “my way or the high way” does not work in wedding makeup, this is just how it is, there are rules to follow. 12) “Don’t expect Instagram Makeup” – Agree. Did you know that most of the images on Instagram have been photo shopped and edited? So please, please please please, don’t get your hopes up. 13) “Don’t do Something Outside your Comfort Zone” – Agree. Let’s go back to topic #3 where you don’t bring a strongly opinionated friend. Don’t let them or anyone else try and make you do something you don’t want. Stay within your limits, but trust your makeup artist to help you be more photo ready within those limits so that you can come up with a happy medium. 15) “Don’t Show Up Makeup less” – ok this is one that I can say DISAGREE – I like to start with a clean slate, I’ve blocked off a limited amount of time for your makeup consult and I really don’t want to waste 10 minutes of it waiting for you to wash your face, then waiting for it to cool down. Show me pictures of what you usually do but please come to your consult the same way you would your wedding makeup, a clean and moisturized face. 16) “Don’t say “Do Whatever You Want and Expect Anything Else” – well I kind of agree and I also kind of disagree. I think after we’ve talked about your makeup style and I’ve seen your natural expressions and your personality, if you say to me “do what you want” I may just do that, but even though I think you would look amazing in a red lip, I won’t put one on you unless I consult you 1st. Does this make sense? I just want you to know that you can trust me, but I won’t put you out of your comfort zone. So now that I’ve broken down this blog into Makeup by Nancy terms, please come to a makeup consult with an open mind, photo’s and a clean face. Feel free to bring a friend, your mom, or a sister but please limit the amount of people that come with you, too many people can mean too many opinions and can make you very frustrated. This isn’t “Say Yes to the Dress.” This is also my place of residence, not a studio so if you have an army of people that want to come with you to a consult, please let me know 1st so we can come up with a plan. Thank you for understanding. Happy New Year and I can’t wait to meet you! I’m very excited for the weddings I’ve booked this year and I get to see a lot of familiar faces too!